Cutting: Our number one Zinfandel from the Napa Valley Zinfandel tasting features distinctive smoky, coffee, chocolate, berry, pepper and spice characteristics. 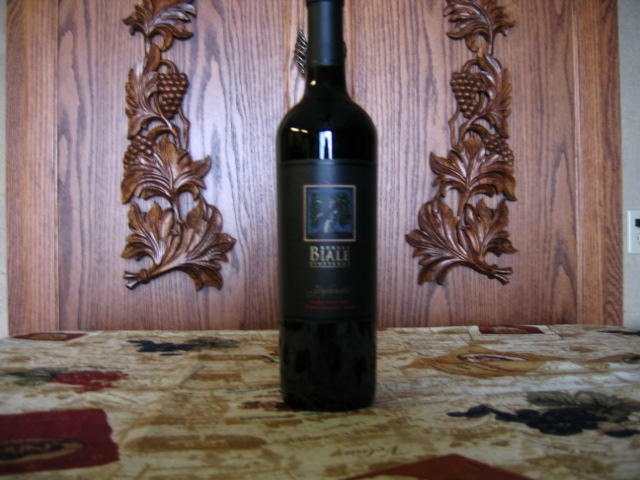 Zinfanatics who enjoy complex wines are sure to appreciate the distinctive Robert Biale Napa Ranches Zinfandel from Napa Valley. The wine features smoky, coffee, chocolate, berry, pepper and spice aromas and flavors. The wine is medium to heavy in texture and features a terrific long finish. This was the favorite wine in the Napa Valley tasting for most tasters. Highly recommended.